Ann P. Dion graduated with a diploma in nursing from Saint Francis Hospital School of Nursing. 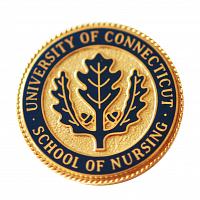 This education provided a strong foundation for her nursing career which has spanned the past 45 years. Ann’s clinical and leadership practice was focused in emergency nursing. Her first 13 years at stretcher side were in hospitals in Connecticut and Colorado. In 1986, she transitioned into nursing management. As the business of healthcare was a key component of nursing leadership, she continued her education receiving a BS in nursing from Saint Joseph College, a MS in nursing from the University of Connecticut and a MBA from Rensselaer Polytechnic Institute. As a Nurse Director, Ann led Emergency Departments at Lawrence and Memorial Hospital, Bristol Hospital, Windham Hospital, Day Kimball Hospital and Hartford Hospital. Her passion for the delivery of safe and quality nursing care lead her to the Quality Department at Middlesex Hospital for the last 2 years. Ann has been an active member of the Emergency Nurses Association her entire career. She has held local, state and national positions including President of the Connecticut ENA. She has given back to her community through membership on various boards in Connecticut and New York. She recently completed a 3-year term as President of the Northeast Placement Services Board of Directors and is currently serving as a Director on the Board of Newberry Village Association. Throughout her career, Ann has strived to maintain a balance between her career and the family she and Michael have built. Retiring in 2017 has allowed both Ann and Michael to live out some of their dreams to travel and most importantly spend time with their son Chris, wife Kristin and grandson Leo.